Paclitaxel, aka taxol, is one of the most successful drugs around for breast, lung, and ovarian cancers, among others. 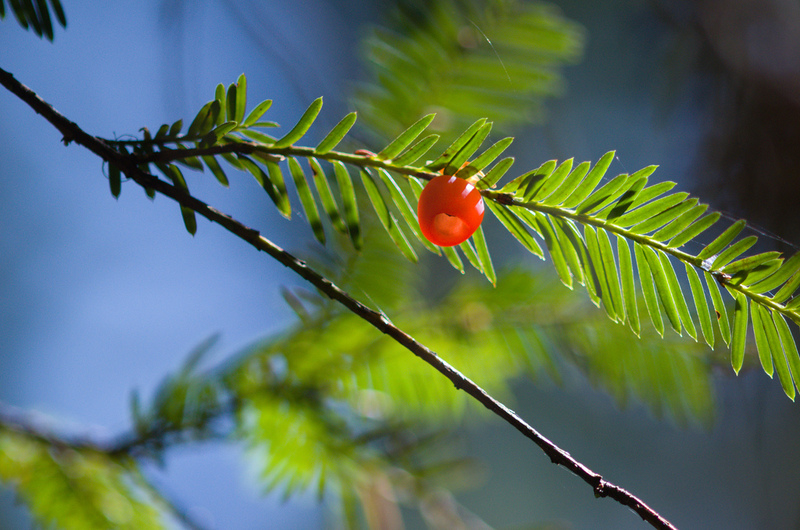 Produced from the bark of the Pacific yew or synthesized from yew needles, despite 40 years of study no one’s ever been quite sure how the drug kills cancer cells. New research suggests it gets all medieval on cancer cells’ chromosomes. Beth Weaver of the University of Wisconsin–Madison and colleagues measured drug levels in breast tumors taken from women who had been treated with paclitaxel before surgery. Instead of stopping cell division, low, clinically relevant doses of the drug caused cells to pull their chromosomes in multiple directions, the researchers found. Cells caught in the multidirectional tug-of-war died after the split because their chromosomes had been scrambled, Weaver’s team reports in the March 26 Science Translational Medicine. The study made the cover of Science Translational Medicine this week; read it here. ← Ever flown through a brain?